Which file name is original? The file below is missing the last 20 byte RAR end block. This block contains a CRC of the RAR file and a RAR file volume number. 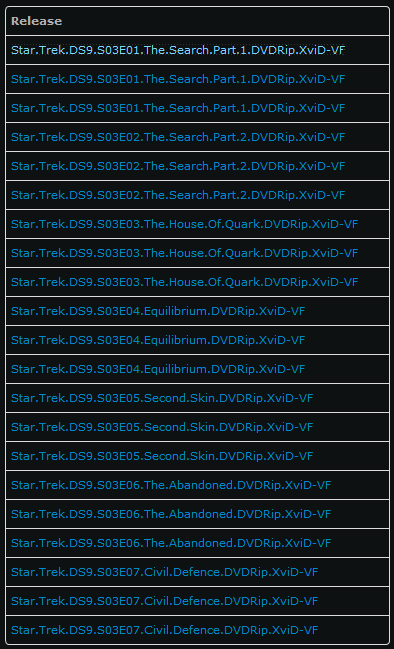 The repacked release can be detected by the date of the archived movie file. The release is a second time in the SRR file. When 2 SRR files are concatenated, you still have a valid SRR file, but then there is a second application name in the middle of the file. This caused the SRR hash detection to fail. The left SRR was created with pyReScene Usenet and was already on the site. The bottom of the details page can show info about possible errors. The reason for this was that there was no obvious indication that the SRR on the site was a repack. After all, it has been there since 2011-07-07, uploaded by SYSTEM. This means that the file came from the now defunct rescene.info database. So the dupes would stay in the queue until I would take the time for a deeper look into the issue, thinking they were probably repacks. The investigation started when another user happened to upload the same SRRs no less than a two months later. Now my interest piqued. You start looking by the obvious indicators first. The file names are exactly the same, so nothing you can search for. The archived file name and dates are the same too. This is what makes it hard: the repack is done by someone who once had the original RAR files. The SFV files also don't have any comments. SFVs from repacks often have comments with a timestamp in them that is after pre date. Checking predbs for these old SFV files didn't help either. +HOST_OS: Windows used to create this file block. +UNP_VER: Version 2.0 is needed to extract. The new uploads were the original RAR files all along. the summer-time period shall begin, in every Member State, at 1.00 a.m., Greenwich Mean Time, on the last Sunday in March. the summer-time period shall end, in every Member State, at 1.00 a.m., Greenwich Mean Time, on the last Sunday in October. This seems to be the only explanation for the exact one hour difference. Release pred in summer time? The latest time stamp is original. For other locations, this might behave differently. Seasons are switched in the southern hemisphere. 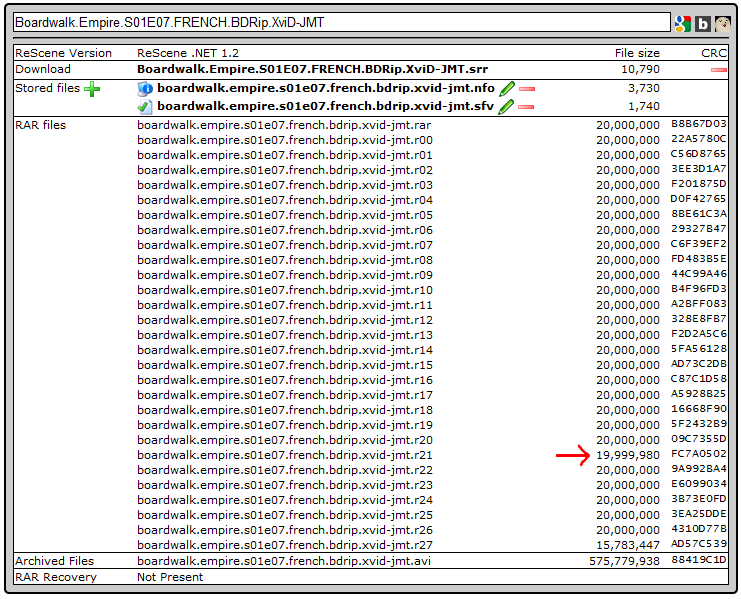 ReScene .NET ignores padded bytes at the end of each RAR volume. 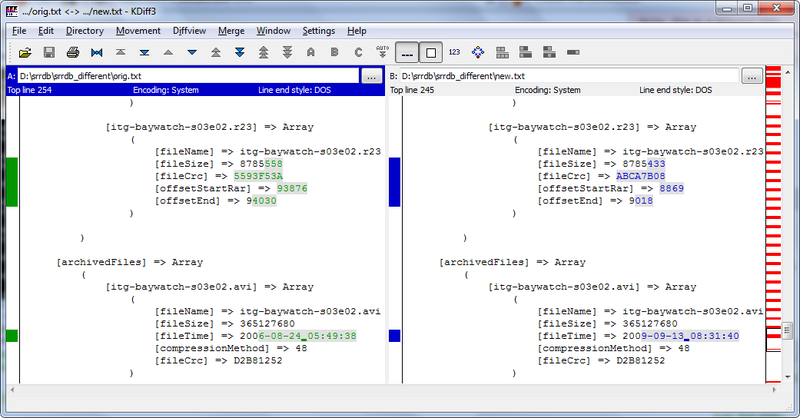 pyReScene shows the correct size because it keeps track of the padded bytes. This can be because all trailing spaces at the end of each line are stripped. We keep the largest (original) file of course! The proper sample name was stored inside the SRS file. The string -sample is appended to the .srs file name. The file name inside the .srs is correct. These SRS files need to be replaced on a new upload. Images can show errors in various ways. The RAR files have different names, but it seems they are the exact same RARs. 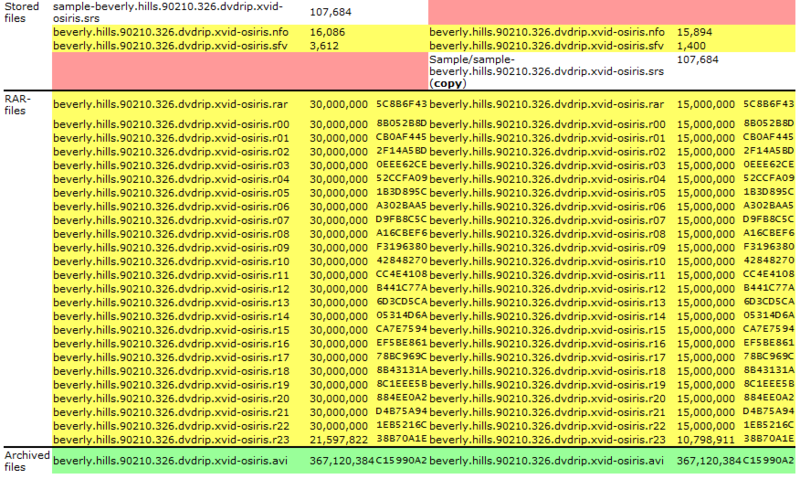 (same SFV CRCs and SRRs look the same) However, the RAR hashes don't match and the nfos are different too. Look at the dates. Based on these dates I guess that the one with the NFO closest to the RAR date is the original one. Undercover.Boss.US.S05E14.HDTV.x264-2HD is an example of a bad SRR file. We don't know what caused this.